I'd really like to say I'm terribly sorry I let this contest die. School took a lot longer to finish and I went through some personal things during the summer. On top of that add starting college a few weeks ago and my mind was, and still is to some extent, blown and my time spent focusing on my studies and on my personal life. My studies have gone perfectly well though and college is fantastic. I finished high school with a great average and graduating was great! I did, as you so see, manage to get some lights done during the summer ;) Core Lighting is a new series I started working on in my limited free time and the light set in the store is the first of several in the series. I'm officially restarting the contest now and will give everyone an additional two weeks to either enter again, enter if they never had the chance or even review their entries if they so wish to do. I will re-post the rules and the contents of the thread from the old forum here and let you guys go crazy. Feel free to go crazy. I want to see the best you can come up with. The renders can be character renders, full scenes, whatever you want as long as it fits into the theme. -All renders must follow the "18th Birthday" theme to enter be considered as part of the contest. -The deadline is September 21st, 2012. -Be creative: I want to see the best you guys have to offer, so don't hold back! -They must be new renders (or your old entries reworked, if you so wish to do). -Image may be rendered in the program of your choice. No restrictions. -Feel free to post as many times as you want, but only one entry per contestant will win. Glad to see the contest is back, and happy belated birthday, Lantios! I made this back in May but didn't get a chance to enter before the old forum closed. This version was shrunk to a width of 800 pixels due to limitations with the new forum...I'll post the un-shrunk version later if the forum will let me.Here's the full-sized image (click to enlarge). 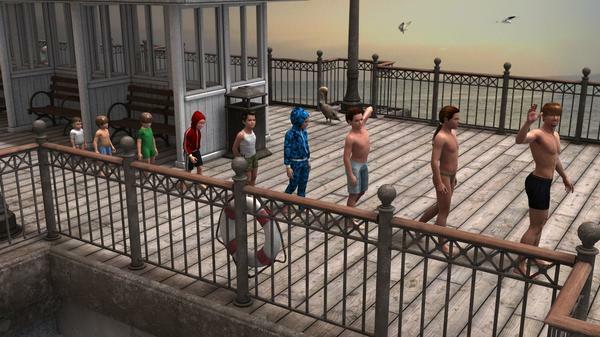 Used Lantios Lights 2 for the boardwalk scene (not for the Cyclorama background). No postwork (except on the Cyclorama background, plus compositing the two parts together, and shrinking it to a width of 800 pixels). Nine Genesis figures (various combinations of Basic Child, M5, a little D3, and some Evolutions morphs) roughly in two-year intervals. Sorry for stirring this up but I remembered this thread when I bought your last light set (not used in this picture though as it was rendered in Vue). 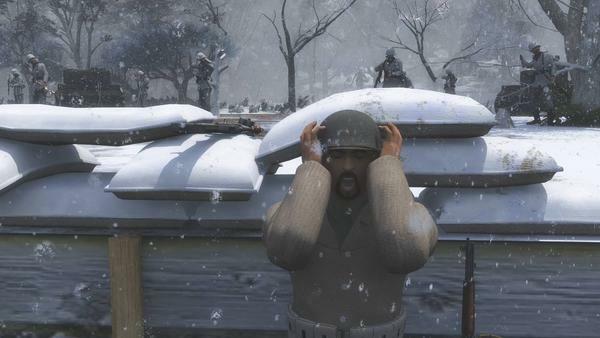 Title: Bastogne - Helluva day to turn 18! And don't worry Totte, I'm glad you did, there's a whole lot of other stuff I probably have forgotten about, reminding me is always good. Oh-hoh, I got an idea for this one... best to warm up the rendering engines! Perhaps not really themed for 18th birthday, however, I'd like to tribute this to Lantio as I owe it to him as the lighting elements were useing lantio's inspired lighting as well as the Lantios environment Light. Love your lighting presets! They really taught me a great deal about lighting! I have always been a fan of Lantino's light sets since they were first released and now that I am back to 3d again I have been plugging them to the new folks because they can really make a huge difference in a scene. Daughter: I said I wanted a HOVERCAR, not a busted piece of junk! Mine is rendering now! Will take some long long long hours to finish! (Since I render things pretty big.) And it does use your lights! Will post as soon as it finishes! Fact: People who live in modern, technology-suffused society and who are 18 or younger have never seen a world which is not connected with a network of computers. 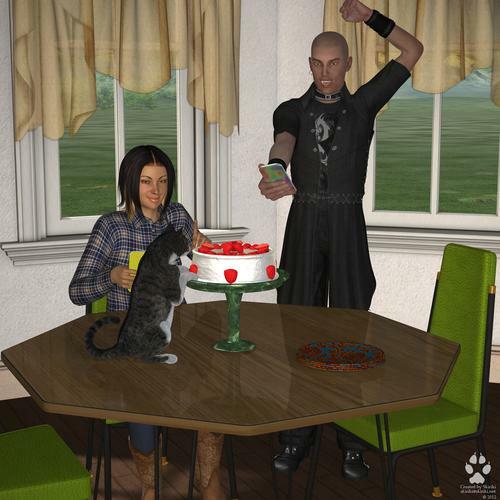 When mom came back with a second load of items needed to set up the birthday table, she was seriously upset to find the twins filming the cat, instead of tossing the moggy off the table and cake. They were technically adults now and they really should have known better than let the furbeast mess with human food. Stephanie and David were likewise upset that their YouTube sensation was interrupted. Nonetheless, the video "OMG lol the cat is totally eating our cake" managed to get 2 million views in a week. Just curious, are we allowed to post our entries elsewhere (like my dA gallery) before the contest ends? I wanna make sure I don't do anything that would get me disqualified. Yes, feel free to :) You may post them elsewhere if you wish! Last day of the contest guys! I'll be getting back all the old entries from the old contest on the old forums as well as these new ones and I'll have a winner decided before the weekend ends. For some reason I had thought the deadline was the last of the month and that there was still enough time. I again will excuse myself for the delay on the results. Homework got the better of me and before I knew it midterms came along. I did good in everything and now that I've had some time over the past week to weigh the images, I've decided on the three winners! I shall also PM each of the winners now so that they may claim their prizes! Wow! Thanks Lantios!!!! I'm so excited! :cheese: This totally made my day! And my first contest winner Wow! Congratulations to Cyonix and Jan19 !!!! Thanks, Lantios. :-) Winning is a new experience for me, too! Now I have something to brag about today. Oh wow Jan, where you been. Haven't seen you around for ages. Nice to see you. Congrats on the win, and to the other two as well. Congrats to the winners--great work! And you're all first/second-time contest winners? That's pretty cool. Thanks for the congrats and hope everyone is well and hearty! Thanks, Scott. :-) Yep, Lantios's note made my day.